There are a number of art destinations for vacationers with discriminating taste this summer so I'll just list a few. 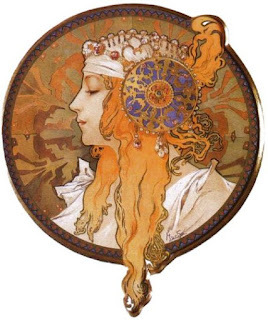 The first being a major show devoted to Alphonse Mucha at the National Czech & Slovak Museum & Library, in Cedar Rapids, IA. Opening July 14, Alphonse Mucha: Inspirations of Art Nouveau will feature 230+ paintings, pieces of jewelry, sculptures, and lithographs. Next up I'd suggest taking in Howard Pyle: American Master Rediscovered at the Norman Rockwell Museum. 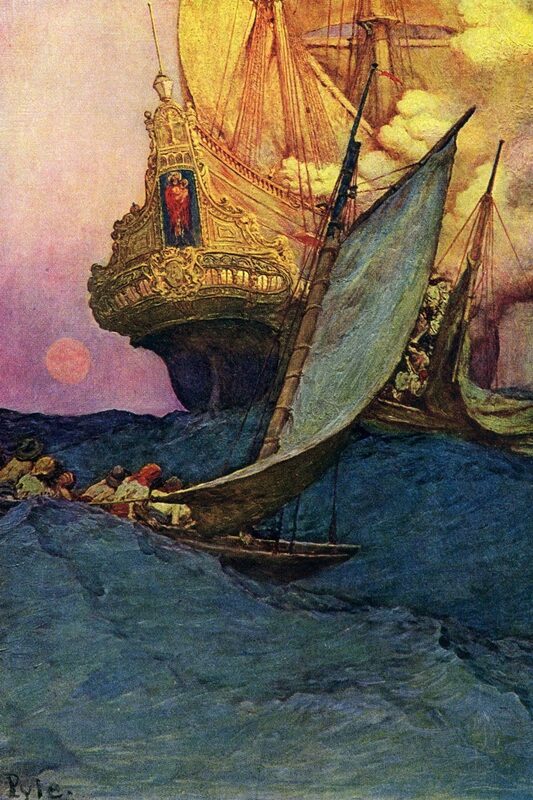 Jim Gurney will be giving a lecture, "Howard Pyle as a Picturemaker," on July 12. The Fenimore Art Museum is hosting American Impressionism: Paintings of Light and Life, featuring works by William Merritt Chase, Mary Cassatt, Theodore Robinson, John Henry Twachtman, and many others from 1881-1942. Kansas City's Nelson Atkin's Museum has an invaluable show for artists with a retro-futurist (or Steampunk) bent who might need some research: Inventing the Modern World: Decorative Arts at the World's Fairs, 1851-1939. And, of course, in less than two weeks one of the best exhibitions of, hmmm, stuff will take place at Comic Con International in San Diego. 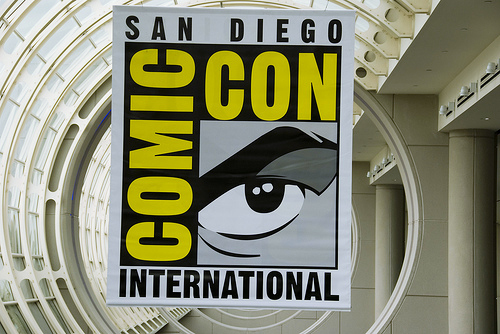 Art, actors, comics, toys, and fans wearing great costumes and fans wearing costumes who definitely should have been prevented from doing so. (Spandex is not forgiving.) If you don't have a membership already, well, they're sold out. If you DO have a membership, swing by Booth 4503 to meet MC's Donato Giancola (and Stephan Martiniere!). Also drop by Dave Seeley's and John Pcacio's booth (#4600) to preview items in the benefit auction for Cyril Van Der Haegen.